After working with shepherds communities in a specific region, I realised that there are national and continental networks of mobile pastoralists. 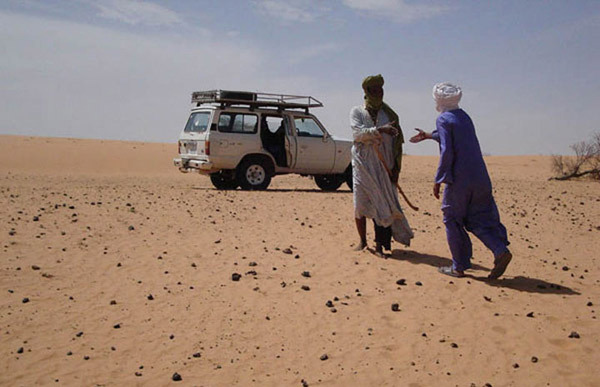 In 2007 I organised a world gathering of nomadic and transhuman pastoralists, including 200 representatives of nomadic communities from all over the world. The project seeks primarily to create a gathering space and an exchange amongst peripheral realities for the purposes of mutual recognition and ultimately political intervention in international fora such as the Food and Agriculture Organisation (FAO) or the United Nations Convention to Combat Desertification (UNCCD). As a result of this gathering, the movement has established a global organisation; World Alliance of Mobile Indigenous Pastoralists (WAMIP); currently registered in Switzerland. Diversity speaking in twenty five different languages; in the peaks of the Hindu Kush, in the Sahel, the Andes or the Mongolian steppes, in the wetlands of Tamil Nadu or the deserts of Jordan, all tell of the same issues, joys and journeys. Why are we fascinated by shepherds, nomads and migrants, the oldest cultures in the world? For a shepherd, the romantic ideal is a daily reality, an unspoken one. There is no talk of the environment, as they are one with it. A life going by at eight kilometres per hour, watching the grass grow. Freedom of movement, wandering, drifting, knowing no boundaries, directly taking the natural resources without leaving a trace behind, eroding political geography, erasing the scars of imperial colonial times. The idea of the world gathering took shape in 2005 in cooperation with grassroots organisations and networks of shepherds and nomads throughout the world. As has been the case in my previous work, the Seed Network, my notion of the artist as a catalyst of social and natural processes, demands my full immersion into all sorts of transactions to be able to bring a microsystem to life. I am struck by a bewildering complexity in which the accelerated pace of communications, made possible by the availability of the internet and supersonic flight, is dumbfounded by the lethargic wandering of the flock at midday, and the horizontal gaze, pregnant with showers of rain, of the shepherd absent mindedly digging his stick into the soil.